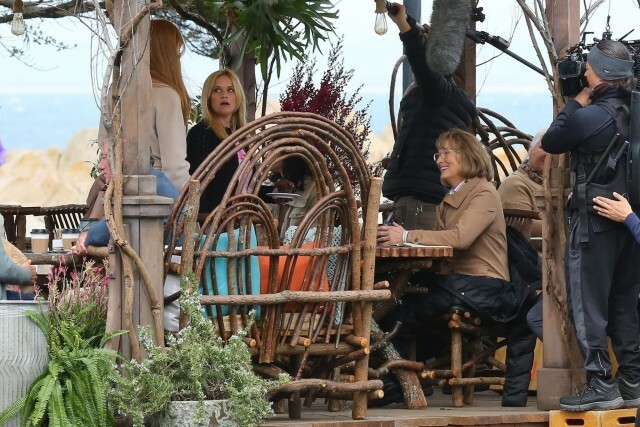 Word on the Streep: More set pics from "Big Little Lies"
Meryl was spotted alongside Reese Witherspoon and Nicole Kidman filming a scene Monterey for the new season of Big Little Lies. A couple more pics can be seen here. No official word yet on release dates, but I'm guessing season 2 will debut on HBO around February, 2019.